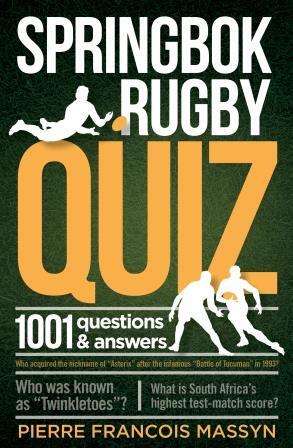 Springbok Rugby Quiz: 1001 Questions and Answers by Pierre Francois Massyn is a fascinating, fun look at rugby history and facts. The book contains 1001 questions about Springbok rugby from the national team’s first test match in 1891, right up until the present. There are answers for the questions, along with relevant anecdotes, in the back of the book. 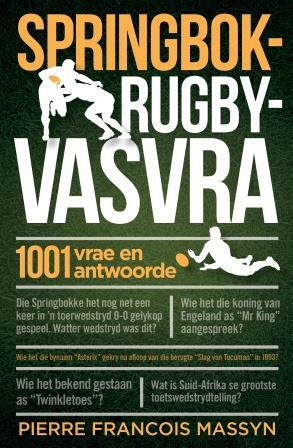 Massyn has shared an excerpt from the Introduction to his book on the Springbok Rugby Quiz website. 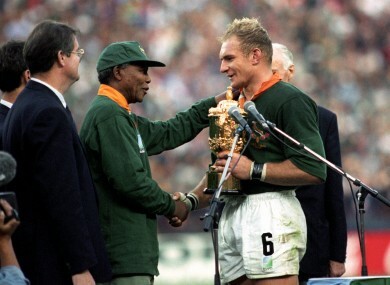 In the excerpt the author writes about his love of rugby and the Springboks that inspire him. He speaks about the personal letter he wrote to Nelson Mandela about the importance of the Springbok emblem, and the effect it may or may not have had on the former president. The book is illustrated throughout with pictures of significant moments and characters of South African rugby. In 1965 we as a family were having a meal in the Gordonia Hotel in Upington. Sitting on his own, there was an unknown man at his table. “Go and ask that Oom his signature” my father encouraged me. Clutching my father’s Rembrandt van Rhijn’s cigarette box in my small hand, I bravely approached the other guest. Minutes later I proudly returned, with his signature on the back of the cigarette box. Sias Swart’s (Footnote 1) was the first Springbok autograph I had ever obtained. I have since collected a few more. I discovered I somehow had a penchant not only for the stories, but for the statistics as well. As a boy, I began to challenge anybody, sometime complete strangers, to ask me anything about rugby. I always knew all the answers. Players, matches, scores, tries … And to this day I have never stopped reading rugby books or stopped following the matches. This book is the natural progressions of my love for the Game.